Horticulture NZ chief executive Mike Chapman. With horticultural land under threat daily from developers, New Zealand’s vegetable growers are facing disaster. Horticulture NZ chief executive Mike Chapman, speaking at last month’s Feeding the Bay of Plenty forum in Te Puke, says urbanisation is the biggest threat facing vege growers who traditionally have land on the outskirts of urban areas. “The Auckland council is hellbent on turning Pukekohe’s prime vege paddocks into 50,000 houses, and pretty sub-standard houses at that. 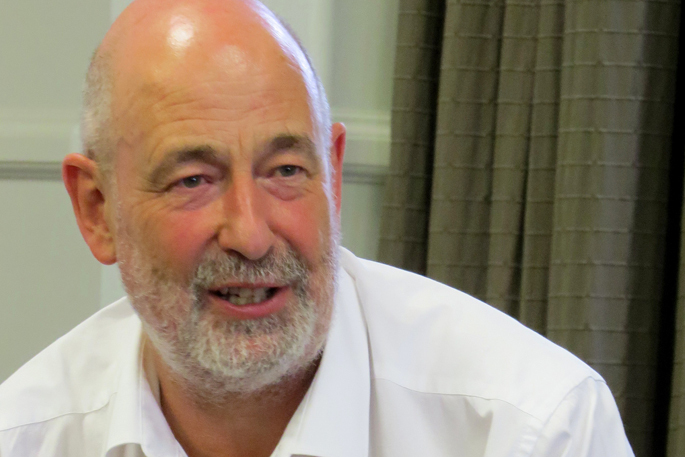 Mike says Horticulture NZ is working with the Government to develop a national policy statement to protect high-quality horticultural land but he worries it won’t come fast enough. Although 60 per cent of fruit grown in New Zealand is exported, almost all – 96 per cent – of the veges we grow are consumed here. “Without an export market driving higher returns, it’s difficult for growers to keep ahead,” says Mike. Horticulture NZ has been “pushing back” on supermarket payments and encouraged direct supply and a sharing of the savings “but one of our biggest challenges is getting the right money for growers with only two supermarket chains operating here”. He’s looking forward to the Government’s ‘wellbeing budget’ that measures four ‘capitals’ – natural, social, financial and human. “It’s a chance to refocus on feeding ourselves and take stock of our environmental health,” says Mike. He points out the largely environmentally-friendly nature of vege growing compared to dairying – producing no methane. Dairying makes up 50 per cent of our greenhouse gas emissions. Vege growing also employs 60,000 people or Full-Time Equivalents nationally compared to dairying’s 50,000 FTEs, and is far more productive per hectare than dairying.